Is Your Work Exhibition Ready? Blacktown Arts Centre presents a skills development program led by talented creatives. The program includes three skills-based workshops and a discussion that will answer all your questions about the Blacktown City Art Prize. 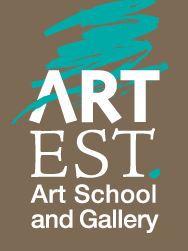 You will have the opportunity to learn from four experienced and respected visual artists and sharpen your ability to produce exhibition-ready paintings and drawings. This is a pilot program designed to encourage and increase participation by local artists in the Blacktown City Art Prize, and other awards and exhibitions. 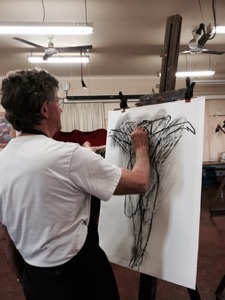 *A number of subsidised places are available for artists who live in Blacktown City. This workshop program has been developed in response to feedback received from entrants of the 2015 Blacktown City Art Prize. 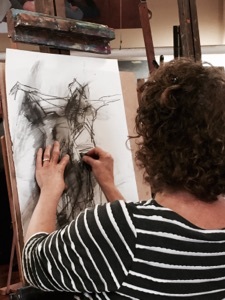 A big thanks for your guidance over the past couple of terms while I undertook ‘Life Drawing’ in 2015. The wide range of media used were accessible to everyone along with your thought provoking ideas to encourage students, like myself, to think outside the box. What I would have dismissed before the course I now look at through open eyes. You certainly are inclusive of all students in the class and I enjoyed the ‘down to earth’ approach to art in general. I really look forward to doing another course with you. Thanks for last lesson, I had a great time with the excellent model. I really needed the break to do something that is “Me” after a very exhausting month. Thanks for all the encouragement regarding my drawings 🙂 I am very impressed with how attuned you are to all your students and your great investment intellectually, emotionally and creatively in the class, it’s very inspiring. It’s really nice to be in a supportive and caring artistic environment with relatively low pressure, without the stress of the art world or the pressures of academia… To just get immersed in the process and enjoy the time. It really filled “my batteries” last weekend. I loved the pace of the day,……… not a minute to waste. Your inspirational work together with your effective communication skills made for a very positive experience.